Back to basics. 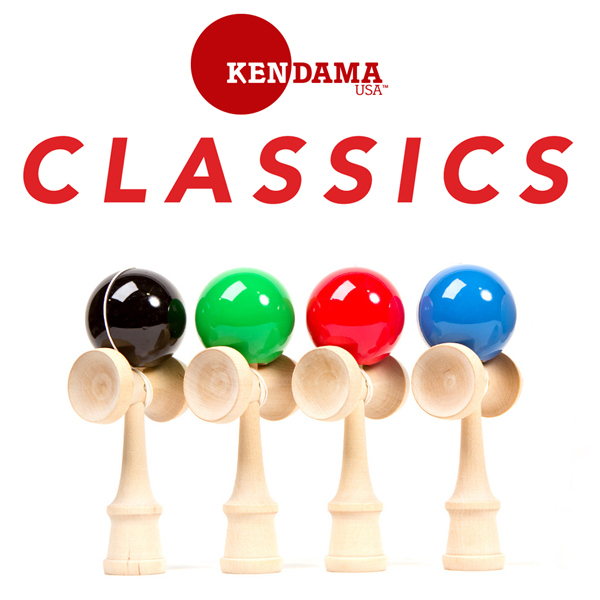 Simplicity and playability were the focus in developing the Kendama USA Classic series. Made of birch wood, this Kendama is the lightest and softest wood in our collection. This is the first Kendama we have manufactured using the traditional 2 piece Japanese handle and stringing assembly, instead of the “fixed” handle style of the Tribute Kendama. A perfect choice for the player who is looking for an affordable Kendama, but isn’t willing to sacrifice playability. Please note that unlike the Tribute models, the Classics are a simplified product and do not include instructions, stickers, extra strings, or a metal reinforcement inside the handle.